One of my favorite things about this time of year are the Farmer’s Markets that crop up all over! With the plethora of fresh fruits and vegetables abounding it is the perfect time to clean up my diet and start eating healthier. Eating raw is getting more and more popular. I am seeing green smoothies on Pinterest daily now! Besides whittling away at your waistline, eating raw also has some big benefits for your skin that you may not have known about. Orange and Yellow fruits are high in beta-carotene an ingredient in Vitamin A which is good for your skin and your eyes. They are also rich in Vitamin C, zeaxanthin, lycopene and other antioxidants that fight the aging process in our skin. Spinach and other green leafy vegetables are rich sources of iron, calcium, potassium and magnesium as well as vitamins A, C, E, K and many of the B vitamins. The high fiber content helps the body eliminate toxins and carcinogens. Elimination is by in far one of the most important things for clear skin. Red fruits and vegetables are rich in in lycopene which is a carotene that protects from ovarian and prostate cancer as well as heart disease. Lycopene has also been shown to reduce sun-related skin damage. Purple fruits and vegetables are know for their flavanois which is a class of anti-oxidants. These have a postitive effect on the skin structure and protect against UV rays. Flavanois are also known to improve elasticity by increasing collagen production. Kale if you haven’t heard, is the new wonder veggie. Yes, I know it is green but I am giving it it’s own category as it is being hailed the “new super food”. This super food helps to detoxify enzymes in the liver that play an important part in neutralizing carcinogenic substances. Another key element in kale is isothiocyanates. These have been linked to inhibit carcinogenesis that cause cancer cells to actually shrink. Kale also ranks highest among all vegetables in its concentration of carotenoids, beta-carotene, lutein and zeaxanthin. Want to read more? Here is a fascinating page I found on all the bennies of kale. I know without a doubt when I am being good and I fill my plate with 75% fruits and veggies and leave only 25% or less for the meat and carbs… I lose weight. But now upon further examination, the fact that they all benefit your skin so much is just an added bonus! 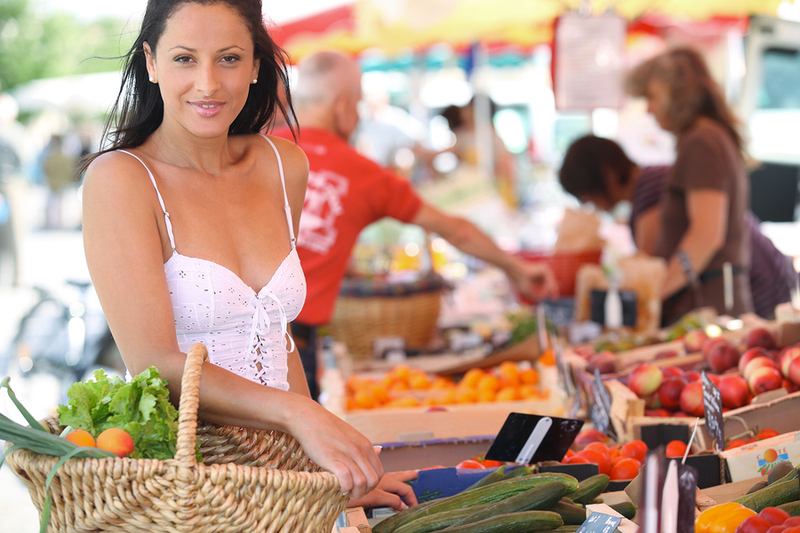 Here is a link to the best farmer’s markets here in Reno. I am not sure why they are not including the one at the Summit Mall, I beleive that one is on Tuesdays and Saturdays from 9am to 3pm weekly. I for one, am excited to start eating fresh and enjoying the abundance of my own garden as well as the farmers market. It is nice to see so many joining the gardening movement. I have a ton to learn but it is a fun process, especially since my kids do most of the work. And yes we are planting kale! Please feel free to share any markets that may not be on the list. Or share your favorite, fresh recipe. I will be sharing more recipes this summer as well. So stay tuned!